CLOSE OUT $8.00 German Henckels 2-1/2" knife overall closed. 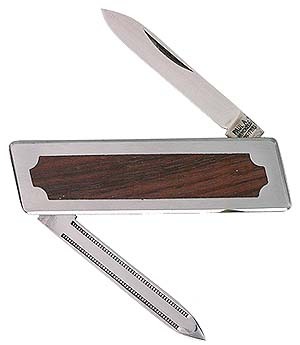 One stainless steel blade, Mahogany handles on both sides. Made in Germany. Knife Handle 5/16 in. 2 in.